The presence of the Albanian army in the northern part of Kosovska Mitrovica was „deliberate and planned,“ Aleksandar Vucic has said. The goal was to intimidate Serbs in Kosovo and provoke Serbia, the President said on Friday. Late on Thursday, Srpska Lista, a political party representing Serbs in Kosovo, asked KFOR to explain the presence of several soldiers from Albania in the northern, Serb part of the ethnically divided city earlier in the day. They were among a large group of international soldiers brought to Kosovska Mitrovica by KFOR. 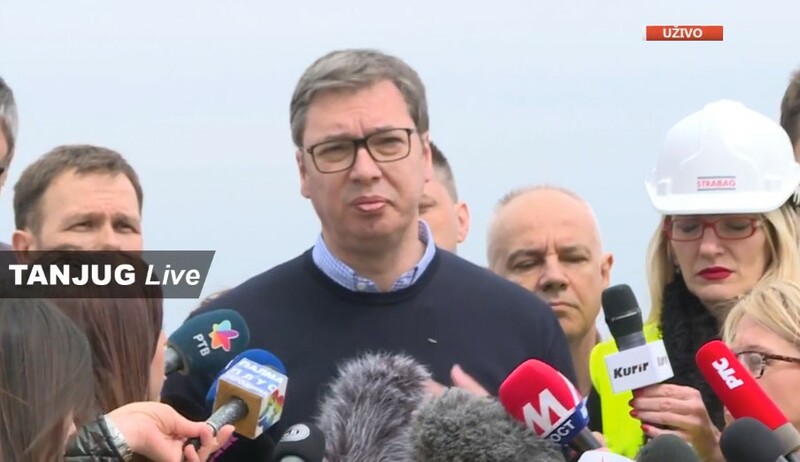 Speaking while he was touring the Belgrade Waterfront project, Vucic said that it was „quite logical that the presence of Albanian soldiers brought unease among people“ in the north of Kosovo and Metohija. „It’s their baby, they were creating an independent Kosovo contrary to the norms of international public law, which a majority of humankind sees today, and we will make sure that the Trump administration, too, sees who created an independent Kosovo,“ the Serbian President said.